Document Legalisation and Embassy Attestation Made Simple We provide a complete service for all UK documents being used overseas. Making embassy legalisation simplequickeasy for UK issued documents. Legalising UK documents for use in foreign counties is often a time consuming task. Many countries now request the apostille and additional embassy legalisation. This involves working with the Foreign and Commonwealth Office, embassies and consulates across the UK. Excellent customer service from trained advisors. Call us, email or chat online for free advice. Apostilles issued in 1-2 days. Embassy attestation varies by country. Document checks, solicitor certification, apostille and embassy attestation included. We can order new documents for you. We can translate your document into another language. Low cost service without compromise. Select your service and pay online securely. Many countries only request the apostille. We can legalise your document with the apostille in just 1 to 2 days. If the country requesting your document only needs the apostille we will let you know. We always offer the best advice on processing documents. More here..
We are happy to talk to you about your documents so contact us now. Customers benefit from our experience and guidance to avoid wasting money or time. Your valuable documents will be handled with care whilst in our possession. Registered with the FCO, one of our team members personally visits the office to ensure quick processing and document safety. Experience in submitting the documents correctly ensures that the process is completed efficiently without delay. Whether you are based in the UK or living abroad with UK documents that need legalising we can assist you. Document legalisation varies from one embassy to another which is why our attestation service is so popular. 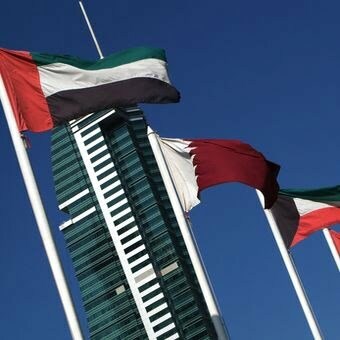 Each embassy or consulate has their own prescribed process of handling documents. What documents will be accepted? Do they accept sets? What forms and ID is required? 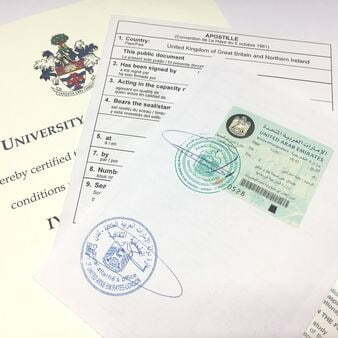 Some documents do not require embassy legalisation and simply require the apostille certificate. Many embassies insist that documents are processed and stamped by the chamber of commerce. Our all inclusive service will ensure that all necessary steps are taken to obtain the correct embassy legalisation. During the service an embassy will add its own recognised ‘legalisation’ or attestation to the document. This may be a physical certificate that is attached to the document. The embassy may use an ink style stamp, an embossing stamp, attach adhesive stamps not dissimilar to postal stamps, or even add written text and signatures. Where are you taking your documents to? - UAEQatarEgyptChinaVietnamThailandJordanIraq - We can help! Thousands of customers in over 100 countries use our embassy legalisation services. All you can ask for from such a company is that they deliver on their promises and that your documents are processed in time and that you are kept informed throughout. Nicola kept me updated at all times as to the whereabouts of my documents within the process, she was super efficient in giving me the breakdown of prices and the services her firm offered. Once I had sent back the order form, things went rapidly, smoothly, on budget and quicker than expected. Delighted with Nicola’s constant and accurate communication as well as the firm’s ability to get the job done.